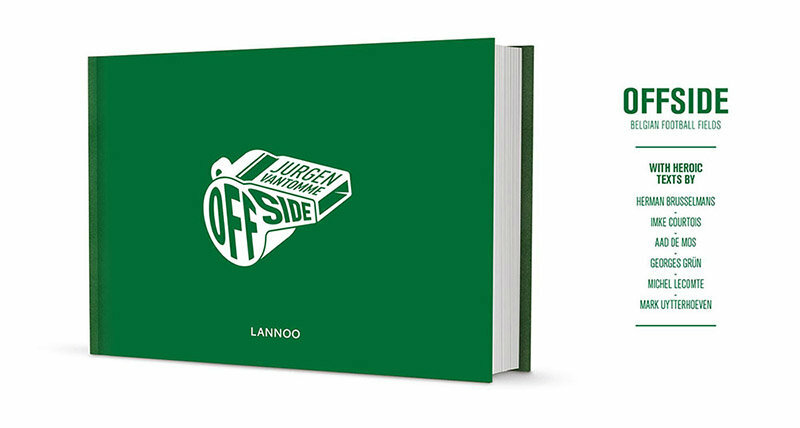 Football nostalgia, heroics and Belgian surrealism in a delightfully recognizable photography book. Groundhoppers travel to soccer fields and stadiums for the sake of the fields, not for the game. They bring tribute to the ‘fields of honor’, where old and young can pretend to be the new Messi and where fans give their soul for their club. Gone glory, hilarious surrealism, impossible locations. In this book photographer Jurgen Vantomme portrays soccer fields of Belgium. He sometimes focuses on the players on the field but more often he looks at the surroundings in which the game of games is played – from the cheering elderly in an almost empty stadium, to games in the snow. Texts in English, French and Dutch.